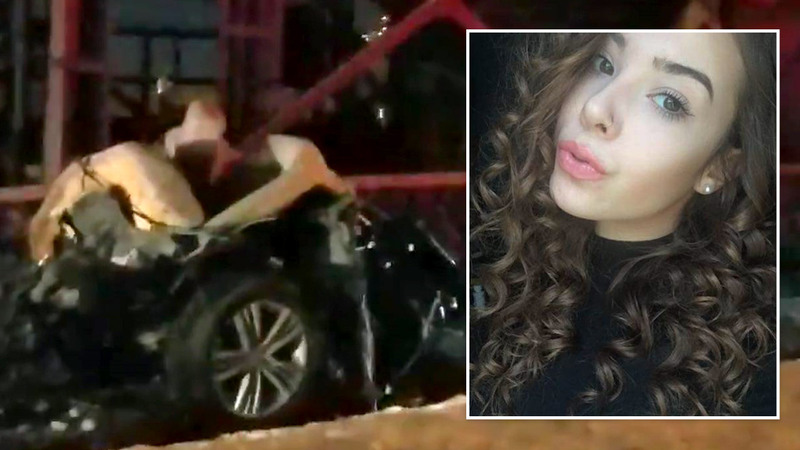 GREENWICH VILLAGE, Manhattan (WABC) -- The driver involved in a deadly March crash on the Williamsburg Bridge was driving drunk and going 111 miles an hour at the time, prosecutors said Thursday. Manhattan District Attorney Cyrus R. Vance, Jr. disclosed the details as he announced the indictment of 26-year-old Stefan Hoyte, whose car crashed into a pillar on the bridge on March 16th. The accident killed 21-year-old Amanda Miner, who was thrown from the vehicle. Hoyte is charged with manslaughter, vehicular manslaughter, and operating a motor vehicle while intoxicated. "In the hands of an intoxicated driver, a vehicle can become a powerful weapon capable of destructive and deadly force," said Vance. "In this horrific case, the defendant is charged with drunkenly slamming into a pillar in such an unwieldy, uncontrolled manner and at such a dangerously high speed that the impact severed the victim in two." Vance said Hoyte was driving the victim and her boyfriend home from a Manhattan bar at about 3 a.m., heading eastbound on the Williamsburg Bridge. He lost control and struck a pillar dividing the inner and outer roadway of the bridge. A black box recovered from the vehicle revealed that Hoyte had been driving at a speed of 111 miles per hour in the seconds before the crash, said Vance. He said a hospital blood draw taken shortly after the arrest showed Hoyte had a blood alcohol level of .12. Miner, an aspiring social worker from Williamsburg, died one day after her 21st birthday. Hoyte was an NYPD traffic enforcement agent. Watch unedited video showing NYPD officers walk Stefan Hoyte, who is charged in connection with a fatal crash. He and another traffic agent, a 24-year-old man seated in the front, suffered only minor injuries.